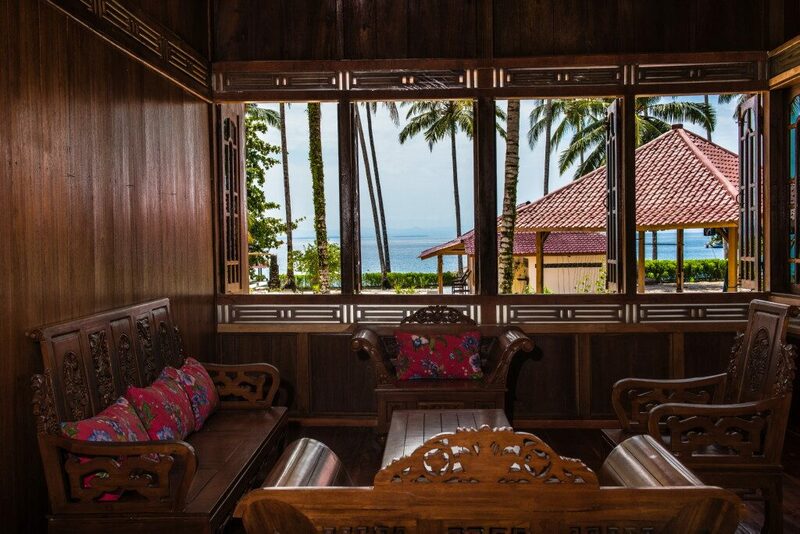 Built by hand in South Sumatra and brought in pieces to Asu Island, our “Rumah Besar” is a beautiful 3-bedroom, 2 bathroom house for our Standard Package guests. 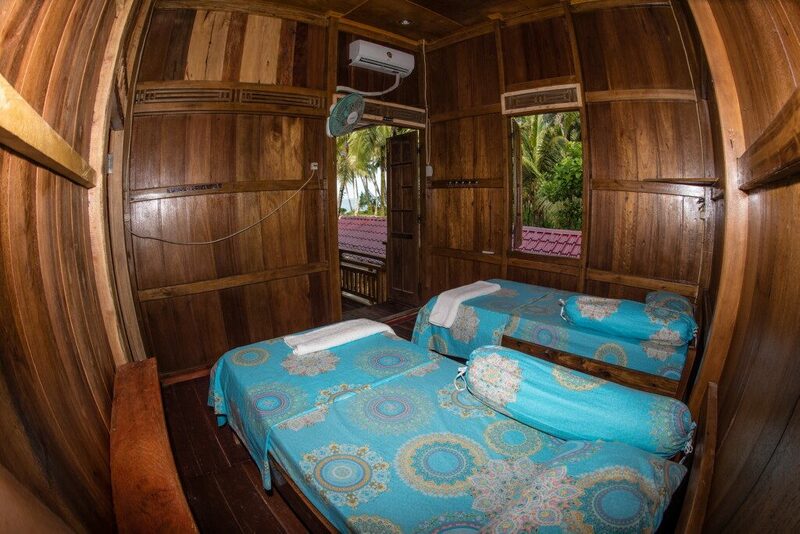 Each bedroom has 2 single beds and the ocean view bedroom can be converted to a Queen size bed for couples. The 2 bathrooms with hot water are shared by the guests in this unit. All bedrooms are air-conditioned and there is a spacious living room with fantastic sea view. Comfort and style for the traveller on a budget.